Once your baby is born one of the best things you can do for yourself is to arrange for help! For the first few weeks you need to have great nourishment and rest to not only recover from the pregnancy and delivery but also to have plenty of healthy breast milk for the newest member of your family. So having help is really a must, if you can swing it, and ideally the cooking is mostly taken care of as well. The benefits of breastfeeding have been championed again in recent years as the healthy way to go! When my mother was in the hospital in the 1960’s giving birth to me and my siblings, she was the only woman in the whole hospital breastfeeding! At that time formula was being pushed as the healthier and better option so it is fantastic that breastfeeding is now back as the healthy choice for the baby! Postpartum nutrition is mainly just a healthy diet that might be similar to what you were eating when you were pregnant. The baby still requires a fair amount of your body’s energy in breast milk production so eating a well balanced healthy diet is paramount. Of course there may be some differences of opinion as to what constitutes a healthy diet depending one’s desire to be omnivorous, vegetarian or vegan for example. 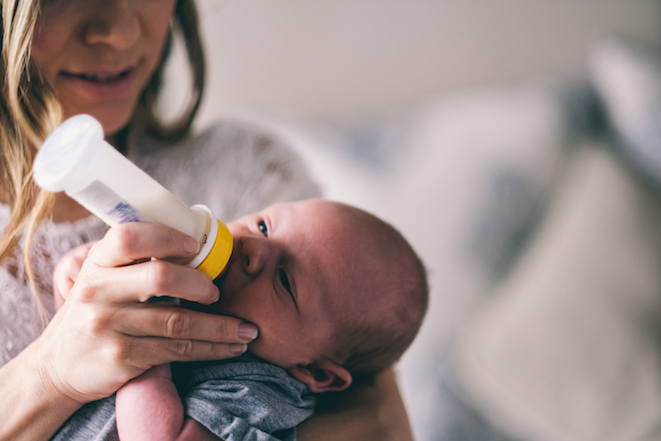 Most of these recommendations may be geared to being healthy for breastfeeding your baby, but are also important for your general health and recovery even if you decide not to or are unable to breastfeed. How do you maintain optimal nutrition then to support your body and the health of your baby? The basics to start with are avoiding sugar, refined foods such as white floured products, junk food, fast food, premade processed foods with additives, food colouring, msg1, processed meats such as sliced luncheon meat and trans fatty acids. It’s also highly recommended to avoid foods that you are intolerant or allergic to as that can create aggravation not only in your own system, but can cause challenges for the newly minted digestive tract of your newborn. The flip side of that is what to include instead of avoid? Organic choices are always best and then locally grown organic is even better. It is not always practical to buy organic, but do your best! Ideally fresh in season vegetables and fruit although the ratio should be definitely leaning towards tons of vegetables of all colours especially leafy greens and then minimal fruit in the range of one to two servings per day. Whole grains that are preferable to eat are brown rice, quinoa, millet, buckwheat and steel cut oats whereas wheat is often one to avoid for many reasons. Good sources of proteins include eggs, meat, chicken, legumes (beans, lentils, chickpeas) and potentially some fish. It is however questionable these days whether or not to eat fish when pregnant or breastfeeding due to potential mercury content, so it is safer to avoid fish as a general rule. Small fish such as sardines, herring and smelts are often safer as they haven’t had the same time to collect toxins as larger fish have. Please do not eat tuna and for a more extensive list it is easy to search online. Vegetarian diets are an option as well and some people do well on those although I prefer that there are some nutrient dense foods as well such as organic eggs. This is of course a personal choice. Omega 3 fatty acids are important not only for general health, but also for the development of the brain of your little bundle of joy! One of the safer forms of omega 3 oil (i.e. no mercury) is flax seed oil although it is not as readily used by the body as fish oil. There is however one very tasty way to make the organic cold pressed flax seed oil easily assimilated and bio-available (the ease with which the body can absorb and use the substance) for the body to use. Blend the flax seed oil with organic cottage cheese, quark or yogurt. This is based on research from Dr. Johanna Budwig2. This makes a creamy blend that you can then add fruit to or make a savoury dressing with which is easily absorbed and utilized by our body, unless you have a dairy intolerance. 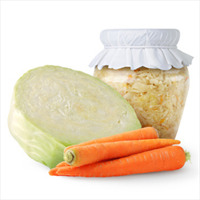 One other often missed food group is good quality fermented3 foods such as lacto-fermented sauerkraut or organic yogurt. There are numerous things that you can ferment and this is a way of getting the beneficial bacteria into your digestive tract in a way that the body really enjoys. Basic supplements I often recommend are probiotics for the mother and the baby, although the ones for babies are different and need to be specifically for babies. Probiotics promote proper bowel function, help the baby to make vitamin K (helps with clotting to reduce bleeding), help decrease chances of some infections and multiple other benefits. Adrenal support is often another great choice for a breastfeeding mother as pregnancy, birthing and breastfeeding all place great demands on the body and the stress support systems. The adrenals help us to cope with and recover from stress. There are various types of adrenal support and some of the most common ones I use are a gemmotherapy called Ribes Nigrum, adrenal glandulars in pill form and postpartum one can add in some herbs such as oat tops, lemon balm or licorice. During the first three to six months to reduce and prevent colic in the baby it is also best to avoid some of the tastier healthy foods such as onions, garlic and the brassica family. . The brassica family, which includes broccoli, cabbage, cauliflower and brussel sprouts) have sulphur bonds (which give broccoli that characteristic smell when it is cooked) and these can cause gas and discomfort for the baby. Also it is important to avoid coffee, peanuts, sugar, refined processed foods and again any artificial additives, flavourings, chocolate, alcohol and foods you are sensitive to. Yes, sorry but avoid chocolate for a while. Herbal teas for colic that you can drink yourself or make for the baby that you might have at home are seeds such fennel, anise, coriandor, cumin, dill and caraway. One can use 1 tsp steeped in boiled water for up to 15 minutes and then strained. This can be drunk by the mother before breastfeeding or put into a bottle given to the baby directly in small amounts. These seeds also have the benefit of being used for promoting lactation. With any of the above scenarios, toxins will go into your breast milk and then into your baby. This is not an exhaustive list so please use common sense as to what might be a toxic exposure for you or your baby and then avoid it! not been evaluated by the Food and Drug Administration or Health Canada. use of this information or its most up-to-date accuracy. Ann Lawrence, ND, BSc is a licensed Doctor of Naturopathic Medicine and has been practicing in her own clinic since 1999. Dr. Lawrence start to use herbal remedies in the form of teas with great success for her patients in 2002. From this was born the Fyrefly Organic Herbal Teas, www.Fyrefly-OrganicTeas.com.